GB swimmers Max Litchfield and Freya Anderson cannot wait to get stuck into the British Championships as the pressure builds a year before the Olympics. Glasgow will host the competition between April 16-21 at the Tollcross International Swimming Centre with performances steering selection for the World Championships in South Korea in July. 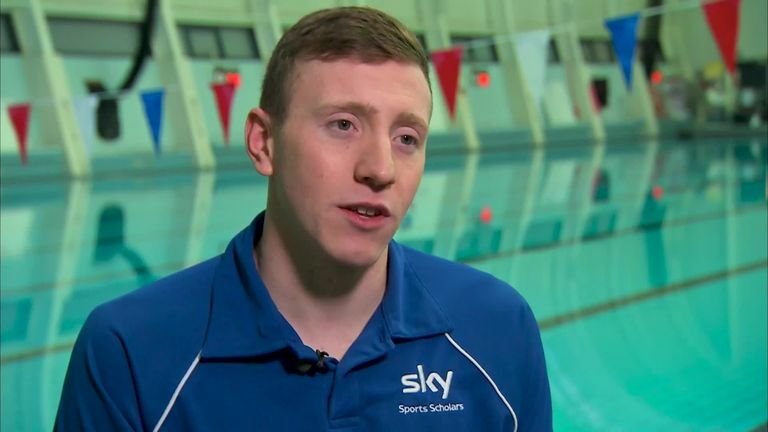 The two Sky Sports Scholar swimmers will be fancying their chances of success in Scotland having both impressed in the last two months. Litchfield, 24 and from Sheffield, will compete in the 200 Individual Medley (IM), the 400 IM and the 200 Freestyle. "Glasgow is always an amazing place to race and I have some very fond memories of racing in the Tollcross pool," he said. "I am itching to get going now and can't wait for my first race (400IM on Thursday). As always there will be some awesome racing, competing against the best GB has to offer, including my younger brother Joe! "We have been set some tough qualify times to guarantee our place on the World's squad and I am relishing the challenge of trying to get down to those markers. "Through this season I have had some great blocks of training, some of my best ever, and I am just looking forward to being able to put that into practice in a race situation. "It's going to be an awesome week and I am buzzing to get stuck in!" Anderson will be flying high after shining at the recent Edinburgh International Swim Meet and clocking season bests for the Ellesmere Titans. "I can't wait to get up to Glasgow," the 18-year-old said. "I'm really excited to race I and see what I can do. I love being with my team as well so it should be a good experience. "Glasgow holds some good memories like qualifying for my first European Juniors in 2016 and then competing in the Europeans last year so it's really good to be back. "We've had a preparation camp at school and things went well so I just can't wait to get up there and race."